The ultra-lightweight panels are only 25mm thin and can be easily mounted on the internal ceiling or high on walls to provide a warm radiant heat throughout the room. 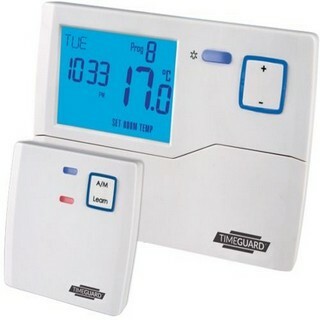 No electrician is required to install as they are supplied on a plug but you can opt to have them wired in if you wish and controlled with our wireless 7 day programmable room thermostat. These panels are highly energy efficient and costs just 8 cents an hour to run, saving literally hundreds of euros a year in heating bills when compared to traditional systems like oil-fired central heating. It is nice to be able to walk into a warm and cosy home when you come home from work. So regulating the time your Far Infrared panels turn on and switch off is a must for many people. If using as plug in heaters in order to ensure maximum energy saving and comfort it is advisable to use either plug in timers or plug in thermostats in conjunction with your panels. Designed on the same principle as that of the sun radiating the earth, Far-Infrared Heating plates are a revolutionary energy efficient way to heat your home or office whilst avoiding the unhealthy air of other heating systems. The panels are fitted to your ceiling and deliver heat to every corner of your room unlike other heating systems which are dependent on air circulation or heat conduction. 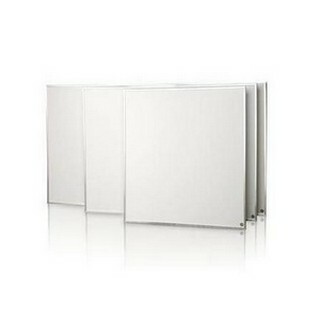 How to Decide Which Far Infrared Heating Panel you Require? All panels can be mounted vertically or horizontally on walls or ceilings. All panels come with a 5 year manufacturers warranty. Infrared Heat Panels provide optimum heating temperature after 3 Minutes. 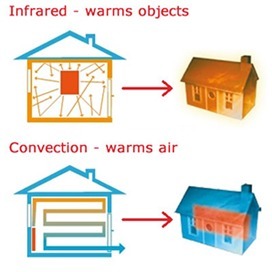 Instead of warming the air like other conventional heaters, Infrared Heat Panels heat objects directly in their paths. Heating the air wastes energy and the benefits of the heat aren’t felt immediately. The rays produced by Infrared Heat Panels penetrate and warm you beneath the skin. The Infrared rays radiate outward, heating all nearby objects, producing a widespread effect. This all happens within 3 Minutes, with no need to wait for the heat to buildup. The benefit of any space heater is zone heating. With an Infrared heater, heating only the parts of your home that you’re using at any given time is possible. When you aren’t heating your entire home, you’ll save money on your heating bill. Infrared Heat Panels can save you up to 30-70% on heating costs. Actual savings vary depending on insulation, ceiling height, type of construction and other factors. We can also imprint a photo, painting image, logo or anything you wish to have an image of on your heater for you. Simply call us on 066 71 36486 for more information on this. Panels have no moving parts, maintenance is almost non-existent. There are no motors to wear out, air filters to replace or boilers to maintain. When in noise-sensitive environments such as bedrooms or studies, finding a heater that doesn’t operate loudly is important. There are no moving parts or fan blades whirring on Infrared Heat Panels, therefore they deliver heat silently. Infrared Heat Panels can make you comfortable indoors no matter what the temperature is outdoors. Also, Infrared Heat Panels aren’t affected by drafts or wind. This day in age, the earth’s resources must be used responsibly. Infrared Heat Panels operate without any carbon combustion, no toxic by-products of combustions, no open flame, and no fuel lines to leak. They add nothing to the air and take nothing away from the air, making them environmentally friendly. Send us you company logo and we can print it on to panel heater for you. Infrared Heat Panels use a substantially lower amount of energy than conventional heaters. 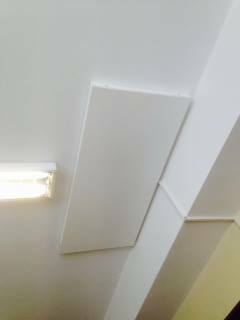 Some Infrared Heat Panels can operate on as low as 300 watts of electricity and 800 watts is enough power to provide heating to a room. Also, there’s no need to turn on the heater in advance to pre-heat the room because heat is delivered instantly. Unlike conventional heaters that draw moisture out of the air as a part of their heating process, Infrared Heat Panels don’t produce dry heat. This way you can avoid uncomfortable side effects such as itchy eyes and throat. 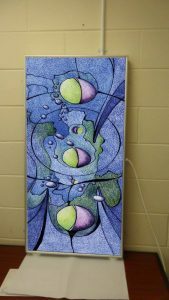 How Do Far Infrared Heating Panels Work? Just as the rays from the sun travel great distances through the cold of space to heat our world infrared radiant heat panels unlock the heat in our environment. 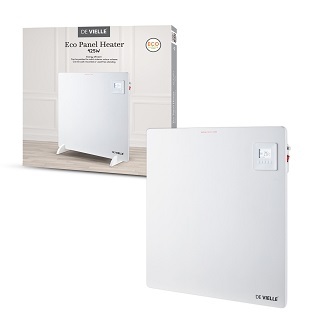 Traditional heating systems cannot compete with the massive savings infrared heat panels can give (Up to 70%) and are remarkably inefficient, burning vast quantities of fossil fuels to simply heat the air in the room. This air then rises above our heads and gathers at the ceiling. The heat in the air is slowly released to atmosphere through ceilings, doors and windows. Infrared Heating systems give incredible savings because they don’t work in this grossly inefficient and antiquated way. Traditional heating drys out our environment and the loss of heat through the cooling of the air in the room means a requirement for constant burning of fuel to maintain the comfort of those occupying the room. As always, nature has a more efficient way of doing things. Infrared Radiant Heat Panels mimic the way in which the Sun heats our environment. 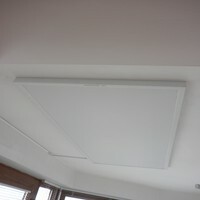 Using harmless, clean, healthy and incredibly economical electromagnetic waves, that lie just under the visible range of light; Infrared Radiant Heat Panels cleanly and greenly bring us instant, controllable heat at a fraction of the cost of traditional, inefficient and dirty fossil fuel based heating systems. The electromagnetic waves cause molecules to oscillate and release energy within the environment to be heated. It is this effect that makes us feel warm. "Got the far infrared panel up and it is working great. A fantastic investment and the heat is superb, works perfectly with the plug in thermostat and controls on and off as needed. I have attached some pics for you, could be investing in another one soon"
Saving with Far-Infrared Heating Plates compared to traditional heating systems. Got these heating panels installed throughout the house, and now using them as our only heating system, replacing our oil system. We’re really pleased with them, particularly how controllable they are – each room being individually controlled is great, as with the switch for our oil system being outside in the garage, I often forgot to go turn it off if we were going out. The other great thing with these is the way they will switch themselves off once the room reaches the set temperature – so, for example, in the kitchen if I have the oven on, the heater will automatically turn itself off, so you aren’t wasting energy (and money! ).